Organizations that do it well know that a well-defined sales process starts by successfully managing the sales team and pipeline. The most common problem Ledgeview Partners finds with lacking sales processes is lack of follow-through by employees and proper implementation by managers. These factors disable a company’s full potential. 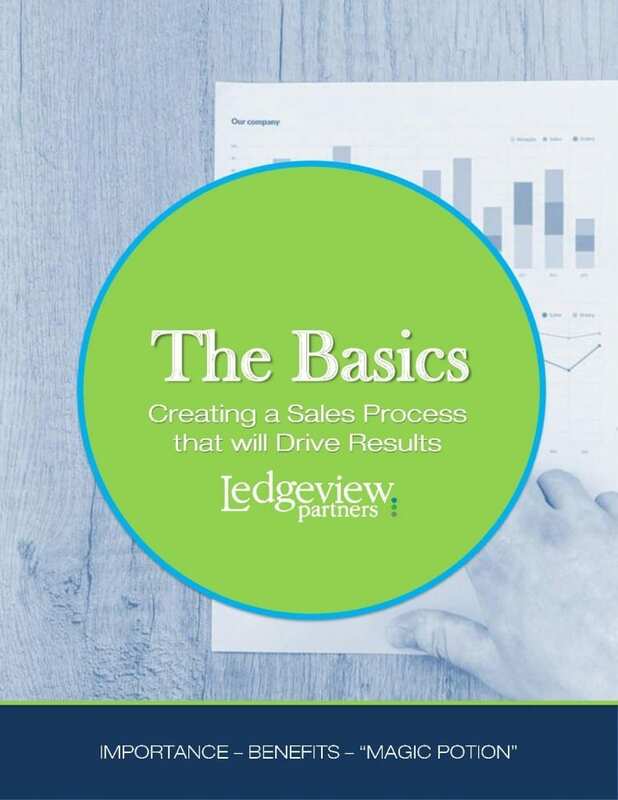 Greg Dove, Ledgeview Partners Director of Business Consulting, Provides top tips within this eBook for driving results. Give us a little information about yourself and we will guide you through the basics of creating a well-defined sales process for your business!